As I think about the week 12 prompt I review the misfortunes in my family history I could explore - child and infant mortality, war, illness, financial. That last one - financial! I remember my aunt's remark in her family history memoir. 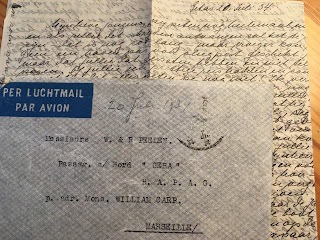 She didn't know much about her mother's side of the family, she wrote, except that they suffered from a "horse race gambling" virus and by the time my great grandfather Doede Lawerman married most of the family fortune had been lost, gambled away. Who in the family had caught this "virus" I wonder. He married Fokeline Dieverdina Bakker on 19 June, 1890 in Odoorn, Drenthe, the Netherlands. What is known about her life illustrates the misfortune of death. 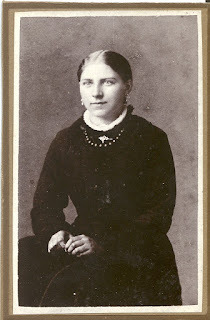 Fokeline came from a well to do farming family but by the time she was fifteen she had already experienced the loss of two baby siblings and then her mother Berentje Bakker-van der Borgh. Three years later, when she was 18, her father, Wiebertus Meinderts Bakker, also passed away. 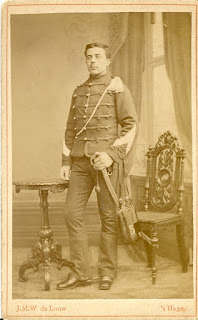 Doede Lawerman, was an officer in the military police (Marechaussee), born in Driesum, Friesland and his service record tells of frequent moves, some for only a month or so. He was 33 when he married Fokeline and they settled at first in Enschede, where their eldest daughter, Elisabeth Berendina was born in 1891. Then another move to Winschoten in the province of Groningen, where Wiebertus was born in 1893 and finally my grandmother Berendina Elisabeth came along in 1895. That's right, they were not very imaginative with the girls' names. Driesum in Friesland, is a small village, current population count is about 974 according to the official municipal site https://www.dantumadiel.frl/inwoners/driezum_41501/ and I'm guessing that way back in 1890 and before it wasn't very different. 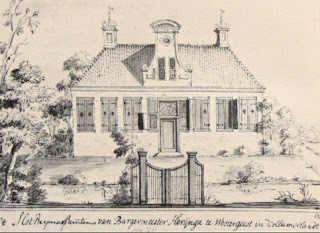 The Lawerman family called this village home for three generations before Doede, so where did this gambling forebear gamble in this tiny village? The only reference I can find to horses and Driesum is the Paardendagen - Horse Days, an annual event that attracts thousands from all over the Netherlands to the district to participate, show off and compete in marathon races with their horses and ponies. Very much like Show Days in Australia. Looks like fun, but doesn't explain the "gambling virus" because they've only been running for the past 17 years. So then I thought well, maybe there is a special Friesian horse and yes there is, but not a what I'd think of as a racing type. The Friesian horse is a very fine looking workhorse, that was hitched up to the plough during the week and on Sundays to the cart or sulky to take the family to church. They feature in sports like dressage and harness racing. So if no gambling in Driesum itself, maybe they went to the big city, like Leeuwarden but I can't find a racecourse in Leeuwarden. Expanded my search to throughout the Netherlands - it brought up four locations and the only one for horse racing is Duindigt, near The Hague. There are trotting courses in Groningen, Alkmaar and Wolfega (near Heerenveen) and the closest to Driesum are Groningen, and Wolfega, and these are harness racing. So I'm wondering, was this family lore an exaggeration. Was it perhaps a once-off occasion when a Lawerman lost a big sum of money and like a good fishing story, it grew in size until it became as big as the family fortune.